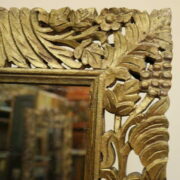 Distressed blue box frame mirror. 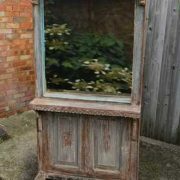 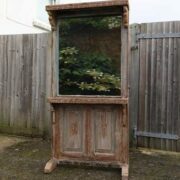 This fabulous vintage mirror has been made using a reclaimed window frame, in a distressed light blue colourway. 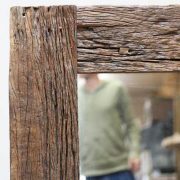 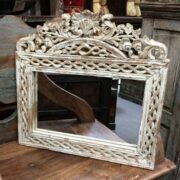 Charming and rustic, it’s a great mirror for taking pride of place on any wall, without being overbearing.